Engineering Entrance Exam in India: Those who are in class 12th Engineering is their first choices after completing their schooling. Those who have completed their schooling with mathematics is the most soughted careers choices in India. As in India there are various engineering entrance exams organized to provide admission in to the engineering programmes. sought career fields in India. There are many entrance exams organized in India to find the selective students for admissions into engineering programmes. Engineering is a booming sector of study. There are lots of job opportunities in the market waiting for you when you have completed your programme. Engineering has various fields to study such as Civil Engineering, CSE/IT, Mechanical, Mining, Automobile, Petroleum, etc. Here, we are providing you a list of national and state level engineering entrance examinations which are considered for admissions in top colleges of the country. JEE (Joint Entrance Examination) Main is a national level examination. It is managed by NTA ( National Testing Agency). It is organized for screening candidates for the UG engineering and architecture programmes. These courses are offered by NIT, CFITs and other institutions. It is also the eligibility test for JEE Advanced exam for admission to IITs & ISM. Aadhaar Card is compulsory to fill the application form. It will be available in the month of December 2017. JEE Advanced examination is organized by Indian Institute of Technology (IITs) under the aegis of Joint Admission Board (JAB) on rotation basis. It is a national level entrance test. This exam is organized for providing admissions in UG, Integrated PG or UG-PG Dual Degree courses. It is offered in the field of engineering, architecture, sciences or pharmaceutics. Candidates can register for this exam in the month of April 2018. It is second stage of JEE Main exam. GATE referred as Graduate Aptitude Test in Engineering. It is a national level engineering entrance exam organized by IITs & IISC rotationally. In 2019, this exam is regulated by the India Institute of Technology (IIT), Madras. It is a perfect gateway for those aspirants seeking admissions in postgraduate engineering/technology/architecture/science courses offered by top colleges of the country. The application form will be issued by the authority from 1st September 2017 only via online mode. Joint Admission Test for M.Sc (IIT JAM) is a national level entrance test. It is managed by various IISc or IITs on rotation basis. This year, JAM exam will be regulated by the IIT, Bombay. After clearing this exam, candidates will get eligible for admissions in M.Sc, Joint M.Sc-Ph.D, M.Sc-M.Tech., M.Sc-Ph.D dual degree & other courses. The registration will be started in the month of September 2017. Indian Council of Agricultural Research (ICAR) conducts the AIEEA (All India Entrance Examination for Admission) examination. ICAR’s 23rd All India Examinations (AIEEA) will be organized in 2019. This examination is organized for admissions in UG, PG & doctoral programmes in the engineering, agriculture and other fields. Candidates will be able to fill the application form in the month of April 2019. Birla Institute of Technology and Science (BITS), Pilani organizes a university level entrance test. This test is called as Birla Institute of Technology & Science Admission Test (BITSAT). It is organized for providing admissions to students in the first year of UG engineering programmes. Through this exam, candidates can also get admission in pharmacy & science courses, i.e B.Pharm & M.Sc. These courses are offered by BITS and its other campuses. SRM Joint Engineering Entrance Examination (SRMJEEE) is organized by SRM University. It is university level exam conducts for providing admissions in UG engineering courses. It offers admission in these courses offered by its Kattankulathur, Ramapuram Chennai and Haryana campuses. Candidates will get the application form in the month of November 2019. UPESEAT (University of Petroleum and Energy Studies Engineering Aptitude Test) is managed by UPES, Dehradun. It is a university level examination. This exam is conducted for offer admissions in B.Tech & B.Tech+LLB (Hons.) programmes. The university organizes 37 Bachelor of Technology (B.Tech) programmes in various disciplines. The application form will be released in the month of December 2017. VITEEE also known as VIT Engineering Entrance Examination is university level entrance test. This exam is organized by VIT University. Through this exam, candidates will be selected for admissions in B.Tech programmes offered by its Vellore and Chennai campuses. Candidates will get the application through online mode in the month of November 2017. VITMEE (VIT University Master’s Entrance Examination) is a university level exam conducted by VIT University. It is conducted for providing admissions into various postgraduate courses like M.Tech, MCA, etc. The exam will be conducted on CBT (Computer Based Test) mode. Through this exam, candidates will get admission in IT University campuses situated in Vellore & Chennai. PESSAT University organizes a university level examination which is PES Scholastic Aptitude Test (PESSAT). Through this exam, students will get admissions in various UG and PG programmes offered by this university. It will be organized in two schedules for engineering programme and other courses. Candidates will be able to fill the application form for engineering course in the month of September 2019. Manipal University Online Entrance Test (MU OET) is a university level entrance test. This exam is organized by Manipal University for screening candidates for admissions in UG and PG courses in the field of engineering, medical, management, pharmacy, etc. This exam will be conducted through CBT (Computer Based Test) mode. BVP CET (Bharti Vidyapeeth Deemed University Common Entrance Test) is regulated by Bharti Vidyapeeth Deemed University. It is conducted for selecting students for admissions in bachelors and masters programmes offered in various disciplines. These courses are offered in the field of engineering, management, law, pharmacy, etc. SAAT also referred as Siksha ‘O’ Anusandhan University Admission Test. It is a gateway for those students seeking for admissions in different UG and PG courses in the engineering, management and many other fields. It is national level examination. The application form will be available in the month of January 2019. Symbiosis International University owes the authority to conduct Symbiosis Entrance Test (SET). It is a university level test conducted for admissions in UG courses offered by Symbiosis constituents Institutions. These courses are provided in the field of engineering, law, management, nursing, etc. The application form will be released in the month of February 2019. KIITEE (Kalinga Institute of Industrial Technology Entrance Exam) is managed by Kalinga Institute of Industrial Technology. It is university level examination. Through this exam, students will get eligible for admissions in different UG & PG courses in the engineering, law, management and many other fields. Candidates can fill the application form in the month of December 2018. Amrita Engineering Entrance Examination (AEEE) is a university level entrance test. It is organized by Amrita Vishwa Vidyapeetham. This exam is conducted for providing admissions in B.Tech degree courses offered by its Amritapuri, Bengaluru and Ettimadai campuses. The application form will be provided by the authority in the month of December 2018. IISER Aptitude Test is conducted by the Indian Institutes of Science Education and Research (IISER). It is conducted for admission to Integrated BS – MS dual degree programme offered by the science and research in the 6 IISER institutes located in India. The admission into this course will be also based on KVPY & JEE Advanced score. The application form for all three streams will be released on different dates. ISI (Indian Statistical Institute) regulates a national level entrance test in name of ISI Entrance Exam. This is organized for selecting students for admissions into various UG, PG, diploma/certificate & doctoral degree courses. The courses will be offered in the area of Statistics, Mathematics, Quantitative Economics, Computer Science, and Quality, Reliability & Operations Research. NIFT entrance exam is a university level examination. This exam is conducted by National Institute of Fashion Technology, Mumbai. It is organized for providing admissions in UG and PG programmes offered in the design field. The exam will be conducted in offline mode (pen and paper based mode). The application form will be issued in the month of November 2017. IISC is one of the leading institutions for providing education in technological research and advanced scientific. This institution offers admissions in various UG and PG courses on the basis of rank secured in national level entrance test. These exams are JEE Advanced, KVPY, NEET, etc. The application form will be available in the month of February 2018. IIST (Indian Institute of Space Science and Technology) is one of the famous institutions of India. The Institution offers admissions in various UG and PG courses in different field. Admissions in B.Tech courses will be given on the ranks secured in JEE Main 2019 or JEE Advanced 2019 examinations. Candidates can fill the application in the month of May 2018 for UG courses. CUCET (Central Universities Common Entrance Test) is an all India level examination. This exam is organized by the ten central universities jointly. Through this exam, students will get admissions in different UG, PG & Other programmes in various fields. The application form will be provided in the month of March 2019. 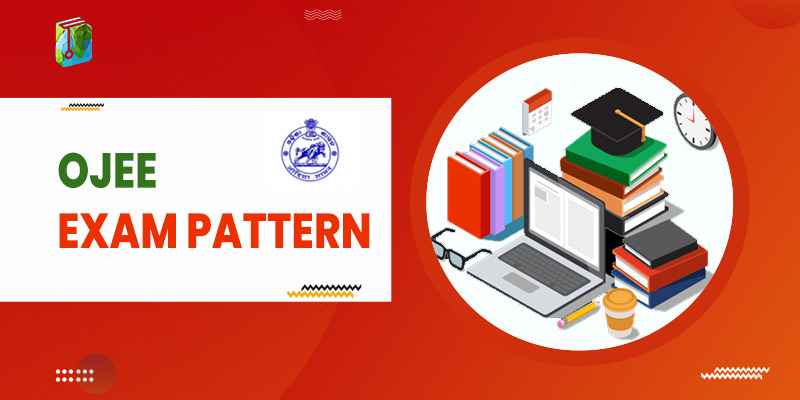 CUSAT (Cochin University of Science and Technology) organizes CAT (Common Admission Test), LET (Lateral Entry Test) and DAT (Departmental Admission Test) exams. It is organized for providing admission in various undergraduate and postgraduate programmes in different field. This exam will be conducted in the month of April 2019. Pondicherry University is a central university which conducts Pondicherry University Entrance Exam. It is university level exam. It is conducted for screening candidates for admissions in diploma and other degree courses in the field of engineering, management, science, etc. The application form will be available in the month of April 2019. AMU (Aligarh Muslim University) regulates an entrance examination for admissions in various degree and diploma courses. These courses are offered in the field of engineering, management, law and many others. It is university level examination. The application forms will be available on different dates for different courses. Guru Gobind Singh Indraprastha University organizes a university level examination called IPU CET (Indraprastha University Common Entrance Test). It is a gateway for those students looking for admissions in various engineering, medical and many other courses. Candidates will get the application form in the month of January 2019. Jawaharlal Nehru University Entrance Exam (JNUEE) is a university level entrance test managed by Jawaharlal Nehru University, Delhi. It is organized for selecting appropriate students for admissions in different undergraduate and postgraduate courses. Candidates can apply for this exam in the month of February 2018. Delhi University referred as University of Delhi is one of the premier universities of India. The university offers admissions to students into various programmes. Admissions in B.Tech courses will be given on the basis of marks scored in the JEE Main examination. For B.Tech (IT & Mathematical Innovations) course, the university organize entrance exam. Uttaranchal University Entrance Examination (UUEE) is a university level examination. It is regulated by the Uttaranchal University. This examination is a gateway for admissions in different UG & PG engineering, management and law courses offered by Uttaranchal University. All India candidates can apply for B.Tech course only. The application form will be issued in the month of December 2018. CIPET Joint Entrance Exam (JEE) is managed by the Central Institute of Plastic Engineering & Technology (CIPET). This exam is conducted for admissions in PGD-PPT, PGD-PTQM, DPMT and other courses offered by CIPET. The university also offers UG & PG degree courses, i.e. BB/B.Tech, ME/M.Tech and M.Sc in its affiliated institutions. VEE (Vels Entrance Exam) is a university level examination organized by the Vels University. This examination is a gateway for admissions in engineering, pharmacy, management and other courses. Through this exam, candidates will get admission in the Vels University campuses. The application form will be provided through online mode in the month of December 2018. Indian Maritime University Common Entrance Test (IMU CET) is administrated by Indian Maritime University. It is conducted for admissions in UG and PG courses in the field of engineering, management, etc. Through this exam, candidates will get admission IMU and its affiliated Institution. Candidates can fill the application form in the month of April 2019. VSAT also stands as Vignan’s Scholastic Aptitude Test is a university level exam. This exam is conducted by the Vignan’s University. It is organized for selecting students for admissions in B.Tech courses. These courses are offered by Vignan’s University and its associated campuses. The admissions into B.Tech course will also through JEE Main & EAMCET. Karunya University organizes the Karunya Entrance Examination (KEE) for providing admissions in B.Tech, M.Tech and M.Sc Integrated courses. It is university level examination. This examination will be organized in the month of April 2019. Candidates can fill the application form in the month of November 2017 through online mode. Netaji Subhas Institute of Technology offers admissions in various UG and PG programmes. NSIT UG is organized for admissions in B.Tech courses on the basis of JEE Main 2018 examination. The admission into B.Tech course will be done by Joint Admission Counselling (JAC), Delhi. The registrations will be started in the month of June 2019. NSIT (Netaji Subhas Institute of Technology) offers education in the field of engineering & technology. This institution provides admissions in M.Tech programmes through GATE 2019 Examination. Admission to sponsored M.Tech (full-time) & part-time programme will be based on the performance of qualifying examination, written test & interview. GITAM Admission Test (GAT) is a university level examination. This examination is conducted by the Gandhi Institute of Technology and Management (GITAM) University. It is organized for admissions into UG and PG courses in the field of engineering, technology and others. This exam is computer based entrance exam. After passing this exam, candidates will be get admission GITAM University and its three campuses situated at Bengaluru, Vishakhapatnam & Hyderabad. NMIMS NPAT (NMIMS Programs After Twelfth) is regulated by NMIMS University. It is university level examination. Through this exam, candidates can get admissions in various undergraduate and integrated degree programme offered by NMIMS and its constituent colleges. The application form will be released in the month of January 2018. Lucknow University is the premier institution which offers admission into various UG and PG programmes. The university will provide admission to the B.Tech course on the basis of the UPSEE score. The application will be released in the month of June 2019. ICFAI Tech School Admission Test (ITSAT) is also known as Admission Test for ICFAI Tech (ATIT). It is a university level examination organized for admission into 4 years B.Tech (Bachelor of Engineering) course. This test is managed by the ICFAI foundation for Higher Education, Hyderabad. Candidates can fill the application form in the month of March 2019. AP EAMCET (Andhra Pradesh Engineering, Agriculture and Medical Common Entrance Test) is a state level entrance test. This exam is organized by JNTUK, Kakinada. It is organized for providing admissions in undergraduate engineering, pharmacy and agriculture courses. Candidates can apply for the exam in the month of February 2019. Andhra Pradesh State Board of Technical Education and Training (AP SBTET) organizes AP Polycet examination. It is state level exam organized for admissions in engineering & non-engineering diploma courses. These courses are offered by various polytechnic institutions located in AP. The application forms will be available in the month of March 2019. AP PGECET (Andhra Pradesh Post-Graduate Engineering Common entrance Test) is a state level entrance test. This exam will be conducted by JNTUK, Kakinada. Through this exam, students will get admission in PG courses in the field of engineering, pharmacy and technology. Candidates will be able to fill the application in the month of March 2018. Andhra Pradesh Engineering Common Entrance Test (AP ECET) is a state level examination conducted by Jawaharlal Nehru Technological University, Anantapur. This exam is organized for providing admissions in second year B.E./B.Tech courses. It is organized for diploma holders and B.Sc (Mathematics) degree holders. The registration will be started in the month of February 2018. Assam CEE (Assam Combined Entrance Examination) is a state level examination. It is regulated by Directorate of Technical Education, Assam. It is organized for providing admissions into 4 years engineering courses in Assam State. Candidates can fill the application form in the month of March 2018 via online mode. Assam Polytechnic (PAT) is organized for those students interested for admissions in various polytechnic courses offered by different colleges of Assam state. It is state level entrance test managed by the Directorate of Technical Education, Assam. The online application forms for this examination will be available in the month of March 2018. BCECEB Board will organize Bihar Combined Entrance Competitive Examination (BCECE 2018) exam. It is a state level examination. This exam is organized for admissions into undergraduate engineering, pharmacy and other courses. Candidates can register for the examination in the month of February 2018. Bihar Polytechnic also known as Diploma Certificate Entrance Competitive Examination (DCECE). It is a state level exam regulated by BCECE Board. It is conducted for admissions in polytechnic courses offered by various colleges and institutions of Bihar state. The application form for this exam will be issued in the month of April 2018. Chhattisgarh Professional Examination Board owes the authority to conduct Chhattisgarh Pre Polytechnic Test (CG PPT). It is organized for admissions in various engineering & technology diploma courses. This exam is state level examination. The application forms will be announced in the month of March 2018. Chhattisgarh Pre Engineering Test (CG PET) is an opportunity for those students seeking for admissions in UG engineering courses. These courses are offered by different colleges and institutions of Chhattisgarh. This exam is regulated by the Chhattisgarh Professional Examination Board (CPEB). The exam will be conducted in the month of April 2018. Delhi CET (Delhi Polytechnic) is a state level examination organized by Department of Training and Technical Education, Delhi. This exam is conducted for offering admissions in diploma programmes (engineering & non-engineering). Candidates can also get admission into second year of diploma engineering in the numbers of institutions in Delhi. GCET is also known as Goa Common Entrance Test which is a state level examination. It is held for admissions into professional degree courses in the field of engineering, pharmacy, architecture, etc. The exam is organized by Directorate of Technical Education, Goa. Candidates can apply for this exam in the month of March 2018. Haryana State Technical Education Society (HSTES) is the authority which organizes state level admission procedure. This process is conducted for admission into various diploma courses in the field of engineering & pharmacy. The admission into these courses will be based on inter-se-merit of the qualifying examination. Himachal Pradesh Technical Education Board, Dharamshala owes the responsibility to conduct HP PAT (Himachal Pradesh Polytechnic Admission Test). It is a state level examination conducted for screening students for admissions in polytechnic courses offered by various institutions. Candidates can register in the month of April 2018 through online mode only. Jharkhand Polytechnic also named as Polytechnic Entrance Competitive Examination (PECE) is a state level entrance test. This test will be managed by the Jharkhand Combined Entrance Competitive Examination Board (JCECEB). Through this exam, candidates can get admissions in engineering & non-engineering polytechnic courses. Jharkhand Engineering Entrance Competitive Examination (JEECE) is a state level entrance test. This exam is organized for providing admissions into various engineering specializations. It is regulated by the Jharkhand Combined Entrance Competitive Examination Board. Candidates may fill the application form in the month of April 2018. JKCET (Jammu and Kashmir Common Entrance Test) is organized by Jammu and Kashmir Board of Professional Entrance Examinations (JKBOPEE). It is organized for providing admissions to students in the engineering and architecture courses. The application forms will be available only through online process in the month of January 2018. Commissioner of Entrance Examination (CEE), Kerala organizes KEAM (Kerala Engineering, Agriculture and Medical Exam) exam. This exam is conducted for admissions in professional degree courses in the field of engineering. This exam will be conducted in offline mode. Candidates can fill the application in the month of January 2018. Kerala Polytechnic admissions will be organized by Department of Technical Education, Kerala. It is conducted for admissions into different polytechnic courses offered by colleges of Kerala state. Admissions will be based on merit list which is prepared on the basis of marks scored in the qualifying examination. KCET (Karnataka Common Entrance Test) is a state level exam organized by Karnataka Examinations Authority (KEA). This exam is also known as CET (K CET/Kar CET). It is an opportunity for those aspirants seeking admissions in full-time courses in the field of engineering, pharmacy, etc. The application form will be available in the month of January 2018. COMEDK UGET is an undergraduate state level entrance test conducted by Consortium of Medical, Engineering and Dental of Karnataka. It is organized for selecting candidates for admissions in undergraduate engineering & architecture courses. The authority will release the application form in the month of February 2018. Karnataka Polytechnic Admission Procedure is managed by Karnataka Examination authority (KEA) on the behalf of Directorate of Technical Education, Karnataka. It is organized for providing admission in different polytechnic courses. Students will be selected for admissions on the basis of marks secured in 10th standard. Karnataka PGCET also referred as Karnataka Post Graduate Common Entrance Test. This test is regulated by Karnataka Examinations Authority (KEA). It is a state level exam conducted for providing admissions to students in full-time and part-time M.Tech and other courses. The application will be released in the month of July 2018 through online mode. MH CET is a state level examination of Maharashtra state for granting admissions in engineering, technology and pharmacy courses. These courses are offered by various government and private colleges of Maharashtra. This examination is regulated by the State Common Entrance Test Cell, Government of Maharashtra. Madhya Pradesh Professional Examination Board (MPPEB) organizes the MP PPT (Madhya Pradesh Pre Polytechnic Test in the month of June. It is state level entrance test. This exam is organized for selecting candidates for admissions in diploma courses offered by various polytechnic institutions. The application form filling process will be started in the month of April 2018. Madhya Pradesh Professional Examination Board conducts the MP PAT (Madhya Pradesh Pre-Agriculture Test). It is a state level exam conducted for providing admission into B.Tech (Agriculture) and B.Sc (Agriculture/ Forestry/ Horticulture) programmes. Candidates will get the application form in the month of March 2018. Odisha DET is a state level admission procedure conducted by Directorate of Technical Education & Training, Odisha. This process is organized for admissions in the first or second year of various engineering and non-engineering diploma courses. The admission will be based on marks obtained by a candidate in the qualifying examination. The application forms will be available in the month of February 2018. Odisha Joint Entrance Examination (OJEE) is the state level entrance test administrated by the state government. This exam is organized for admission to various engineering, management and other courses. This examination admission also offers admission in lateral entry of engineering/management/pharmacy/MCA courses. CENTAC (Central Admission Committee), Puducherry organizes the admission process for admission in UG courses offered in engineering, agriculture, pharmacy and many other fields. Admissions will be given on the basis of merit list of the qualifying examination. Candidates can fill the application in the month of May 2018. Punjab State Board of Technical Education & Industrial Training, Chandigarh (PSBTE & IT) is the authority which conducts Punjab JET. It is organized for admission in diploma courses offered by different polytechnic colleges of Punjab state. No examination will be conducted by the authority. The admission will be based on class 10th marks. Punjab Technical University (PTU) offers admission in B.Tech courses on the basis of marks scored by the candidates in the national level exam (JEE Main). This university conducts admission through centralized counselling. It also offers admission through lateral entry in the B.Tech programmes. The university also organizes admission for different UG & PG courses. Rajasthan Polytechnic admissions will be organized by Directorate of Technical Education (DTE), Rajasthan. It is conducted for admissions in engineering and non-engineering diploma courses. Admissions will be provided to students on the basis of high school merit list. Candidates can fill the application form in the month of June 2018. Rajasthan Engineering Admission Process (REAP) is regulated by the Board of Technical Education, Rajasthan. This process is organized for admission to UG programme like B.E./B.Tech offered by various Govt. aided and Private unaided technical institutions of Rajasthan state. No entrance exam will be conducted by the authority. The admission will be based on JEE Main score or class 12th merit. JET Agriculture also known as Rajasthan JET is managed by the Maharana Pratap University of Agriculture and Technology, Udaipur. Through this examination, students will get admissions in B.Tech-Food Technology, B.Sc. Agriculture/ Horticulture/ Forestry (Honours) and other courses. It is state level examination. TS EAMCET is a state level entrance test regulated by Jawaharlal Nehru Technological University, Hyderabad. It is conducted for selecting candidates for admissions in different UG professional courses offered by various colleges of Telangana. These courses are provided in the field of engineering & technology. Candidates can fill the form in the month of February 2018. Telangana Post Graduate Engineering Common Entrance Test (TS PGECET) is a state level examination. This exam is conducted for admissions in the first year of PG courses in the field of engineering, technology, pharmacy, architecture, etc. The exam will be conducted in the month of May 2018. The application will be issued in the month of March 2018. Telangana State Polytechnic Common Entrance Test (TS Polycet) is a state level polytechnic entrance test. This exam is organized by Telangana State Board of Technical Education. It is conducted for providing admissions in various polytechnic courses offered in different disciplines. Candidates can apply for this exam via online mode. Telangana State Engineering Common Entrance Test (TS ECET) is conducted for admission to B.Tech lateral entry and B.Pharma course. This exam is organized by Jawaharlal Nehru Technological University, Hyderabad. Only diploma holders & B.Sc (Mathematics) candidates can apply for this exam. The application form will be released in the month of March 2018. TNEA (Tamil Nadu Engineering Admissions) is supervised by Anna University for admissions into various engineering programmes. Admissions will be offered on the basis of marks scored in the 12th standard. It is state level admission process. The application form will be released in the month of April 2018 through online mode. TANCET (Tamil Nadu Common Entrance Test) is a state level examination. This examination is managed by the Anna University, Chennai. It is organized for candidates, those seek admission into PG engineering, management, etc courses, i.e. ME/M.Tech/M.Arch/M.Plan. MBA & MCA. The application form will be released in the month of May 2018. UKSEE (Uttarakhand State Entrance Exam) is a state level entrance test. This exam is organized by Uttarakhand Technical University. It is a perfect gateway for those students who want to pursue UG and PG courses in the field of engineering, pharmacy and many others. The application form will be provided through online mode in the month of May 2018. Uttarakhand Polytechnic is also known as Joint Engineering Examination Polytechnic (JEEP). This exam will be organized by Uttarakhand Board of Technical Education Roorkee (UBTER). This entrance test is organized for admissions in polytechnic courses offered in different fields like engineering, fashion designing, etc. UPSEE (Uttar Pradesh State Entrance Examination) also referred as UPTU is a state level entrance exam. This exam is organized by Dr. A P J Abdul Kalam Technical University, Uttar Pradesh. It is conducted for admissions in UG and PG courses in different fields. It is also organized for lateral entry admissions in engineering, management, etc. JEECUP (Joint Entrance Examination Council Uttar Pradesh) is a state level examination. This examination is conducted by Uttar Pradesh Board of Technical Education. Through this exam, candidates will get eligible for admissions in diploma courses in the field of engineering, technology, pharmacy, etc. The registration will be started in the month of December 2017. West Bengal Joint Entrance Examination (WBJEE) is organized by West Bengal Joint Entrance Examinations Board. It is held for selecting candidates for admissions in UG programmes offered in various fields such as engineering & technology, architecture & pharmacy courses. The application for this examination will be received through online mode. JEXPO (WB Polytechnic) is organized by the West Bengal State Council of Technical Education (WBSCTE). It is a state level examination through which candidates will get admission into various polytechnic courses. These courses are offered by various government, government sponsored and self financed polytechnic colleges in West Bengal.